Sport gives Emily a sense of achievement and makes her feel good. 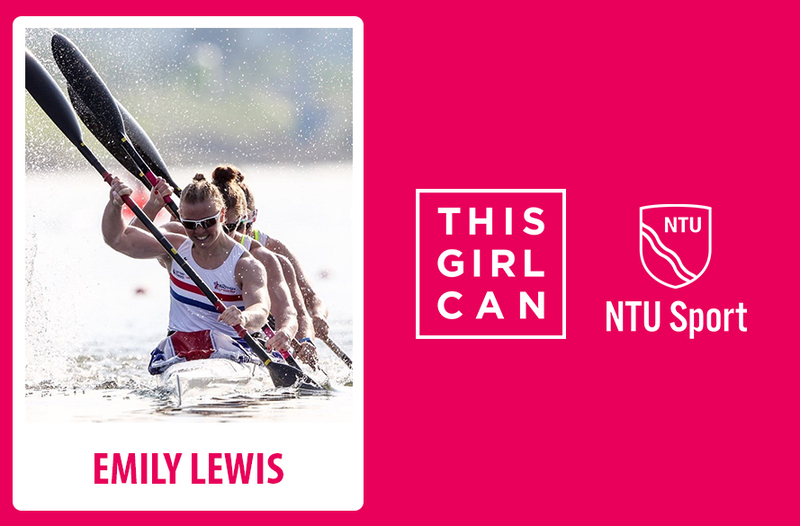 As part of This Girl Can Week, we spoke to Emily Lewis who competes in canoe sprint. She tells us why sport is key to empowering women and talks about the excitement she feels when competing. Nervous to start with! I believe in sport sometimes you need to feel nervous, and it’s a sign that your body is ready to do something hard. The nervous feeling is often accompanied by excitement and readiness. Then after competing, I feel happy and relieved. I feel pleased with what I’ve done and proud of myself. Absolutely. For me gender equality is important and I believe that through sport it can provide the empowerment of women and girls. Sport can allow you to believe in yourself and your ability to achieve, which can be transferred into every aspect of your life. You can learn so much through sport; teamwork, leadership, communication and respect for others. I think it is important to participate in sport for mental health as well as physical wellbeing. I know how good I feel after training or racing. The feeling of having achieved something is amazing no matter how big or small. Sport gives you the opportunity to make friends for life and provides a group of people around you who support and nurture you. The obvious role model for me is inside my own sport. Lisa Carrington, she has been unbeaten since 2011 in the K1 200m at every World Championships and Olympics. When I have had the opportunity to line up against her at races its quite unreal. She is a very well rounded athlete who is still calm and collected every time she races.